As Most Of You Know My Son Is Autistic & Mainly Non-Verbal. 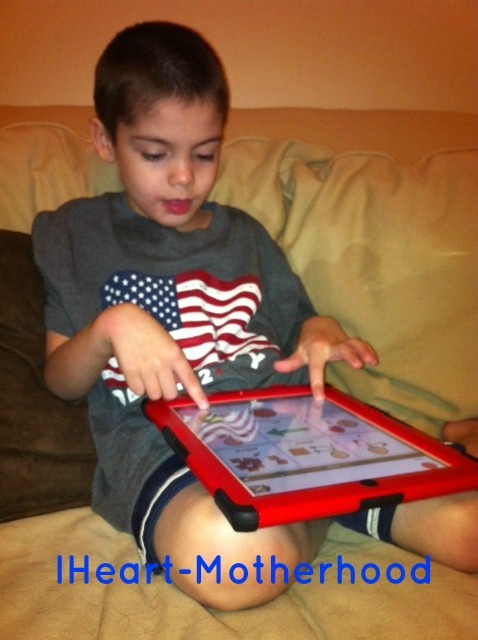 He Was Introduced To The Proloquo2Go App Using The iPad2 At Speech Therapy One Day & He Loved It! After A Few Sessions Of Watching Him I Knew We Had To Purchase An iPad To Have Here At The House For Him To Use As A Communication Device! 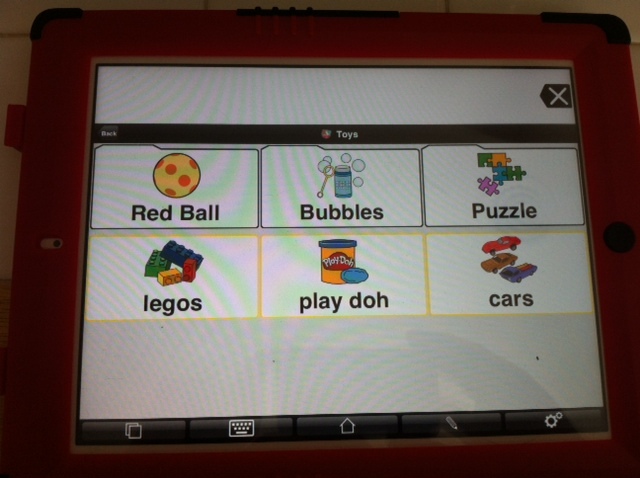 I Downloaded The Proloquo2Go App Onto My Son's iPad & W/The Help Of His Speech Therapist & The Help Of AssistiveWare's Online Tutorials, I Soon Learned How To Use The App Myself! 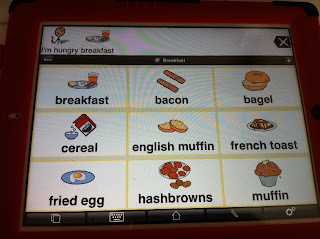 Proloquo2Go Is An Award-Winning Augmentative & Alternative Communication (ACC) Solution For The iPad, iPhone & iPod Touch. 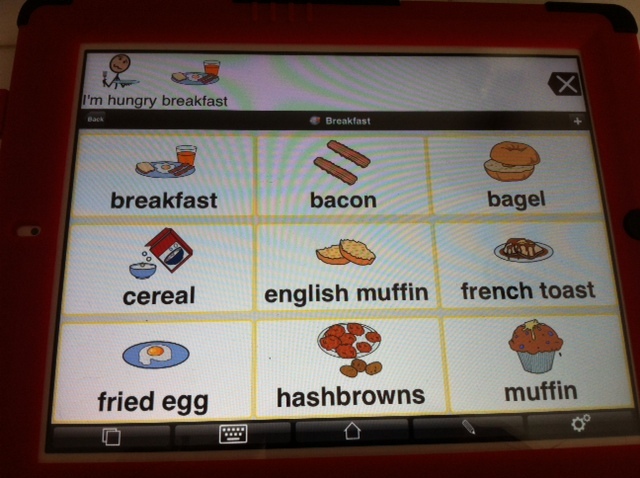 This App Is For People Who Have Difficulty Speaking Or Can't Speak At All. The App Brings Natural-Sounding Text To Speech Voices, Has Close To 14,000 Up To Date Symbols, Multi-User Support, Advanced Word Prediction & More! Proloquo2Go Is Easy To Use & Has The Ability To Fully Customize Vocabularies For Users, From Beginning Symbolic Communications To Full Literacy. There Are Several Things I Enjoy About The Proloquo2Go App Like How I Can Control How Many Rows & Columns I Can Make Available For My Son To Use. Too Many Options Confuse Him So I Only Have A Few Showing At A Time Until I'm Ready To Add More. He's Only Been Using The Proloquo2Go For About A Month & Boy Does He Catch On Fast! With The Convenience Of The iPad, My Son Can Use The Proloquo2Go App At Home, In The Car Or Grandma's House To Communicate His Wants & Needs! Eventually I Would Love For Him To Use It When We Go Out To Eat Or Go To The Store, Etc. Have You Heard Of Proloquo2Go Or Have You Used It?! Connect With AssitiveWare On Facebook & Twitter Or Visit The iTunes Store To Purchase Your Own App! 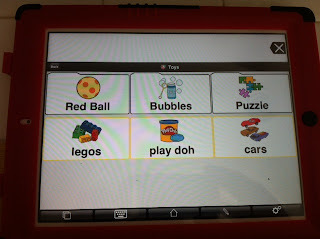 My Son is autistic and was recently given a Ipad. We have found several great apps, and had heard of this one also, it looks great! I have your blog listed in the top left corner of my blog under "Blogs about Autism". The pics with that app look fantastic. I am a special education teacher and it can be hard finding pics that represent the words/phrase you are looking for. I may have to look into that one.